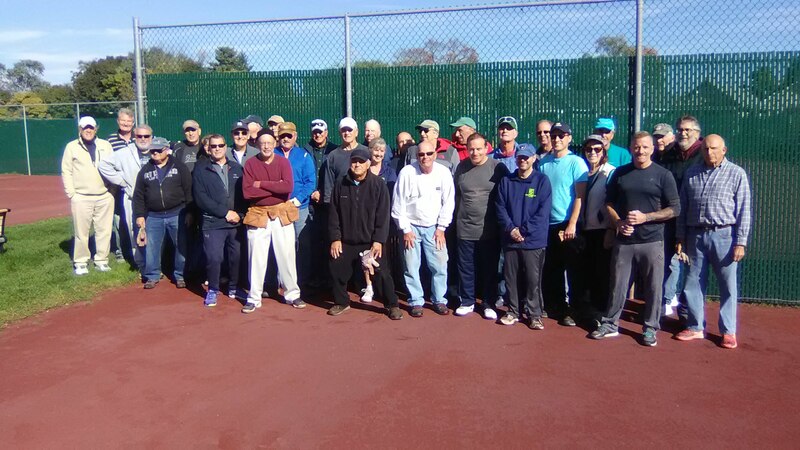 WELCOME TO THE ALBANY TENNIS CLUB! We are located at 316 Partridge Street in Albany, NY. Established in 1878, the Albany Tennis Club is open to members and non-members. Our manager or attendant will be on hand to greet you. If you need a partner, we will do our best to arrange a match for you. Memberships are available and you will find that this is more economical if you plan to play more often. We offer individual, couple, family, student and junior memberships. Visit our Membership page for more information. If weather is questionable please call the club (518) 438-8846 or sign up for text notifications. Holidays falling on a weekend or weekday will follow the same schedule as above. Appropriate shoes for clay court use are required. If there are players waiting, court time is limited to 1 hour for singles and 1½ hours for doubles. Guest fee is $15 per person, payable on entry. Be sure to get a receipt for payment from the attendant. Guest passes can be used only once, and should be given to the attendant when guest(s) signs the registry. Please remember to sweep the court after finishing play. Please lower the umbrellas and tie with a bungee cord when the club is unattended or weather conditions warrant. Proper behavior - The use of language that is in poor taste or unsportsmanlike conduct is not acceptable at ATC. If a member or guest repeatedly uses offensive language or exhibits unacceptable behavior, they will not be welcomed at the Club.